C.H.A.O.S a really fun helicopter simulator game that allows you to control a helicopter and blast the chaos out of your enemies. 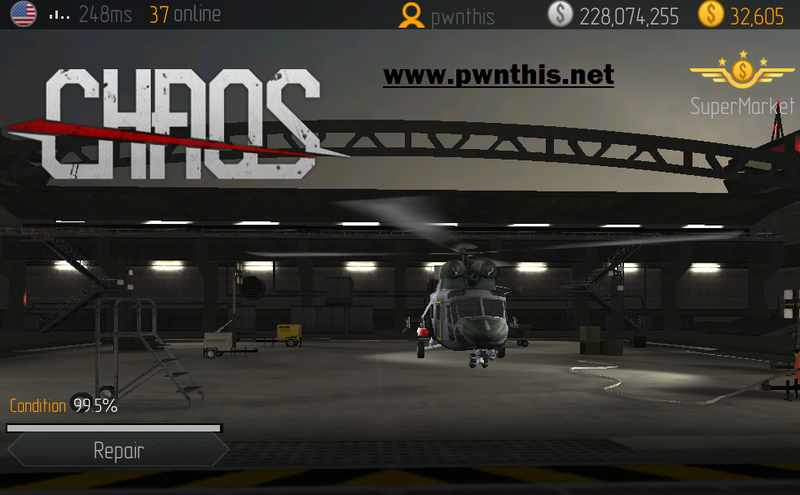 With this cheat, you will have infinite coins and cash to upgrade your helicopter! A few addresses return. Wait till about 2-4 addresses is left. Buy the negative priced helicopter now and you will gain $$ for buying items and upgrades! You will now have millions! Start buying the items in the shop and upgrades. You will notice that your cash will increase as well when you purchase these upgrades. See video tutorial !